Britain’s Got Talent is back tonight as the Judges trawl the length and breadth of the UK in search of Britain’s best talent in the first of the auditions shows. Hosted by the award-winning Ant & Dec, Simon Cowell is joined on the exciting new panel by comedian David Walliams; singer, songwriter Alesha Dixon; and returning Judge, Amanda Holden. 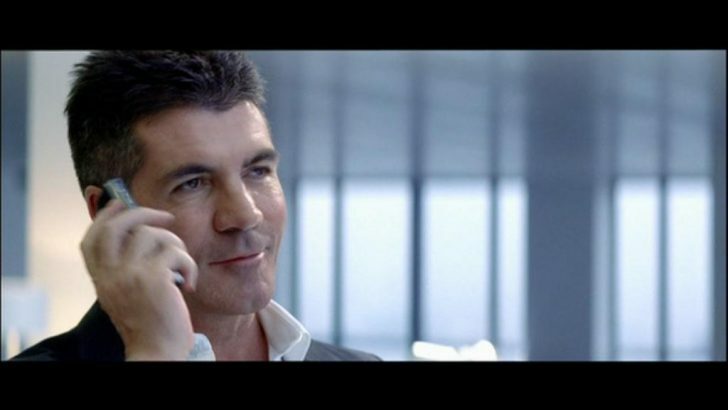 Are you glad to be back on the Britain’s Got Talent panel? I am really happy to be back on the BGT judging panel. I wasn’t sure first of all if I wanted to do it, but now I’ve got stuck in it’s a big, big difference being there from the beginning compared to last year when I just had to come in and do the live shows. You don’t feel connected. Now I feel connected and I think the talent is better now that I am back. What have you missed most about Britain? What have I missed most? Fish and Chips, proper curry and I love working with an English audience. It’s unique, when you’ve got 3,000 people behind you and you’re never quite sure what’s going to happen on the day, it’s both fun and scary. I’m not one of those Brits who went off to America and said I’m not going to come back, I would never do that. I come back here to recharge my British batteries – it’s important. How are you finding your new Judges? I’m loving the new judging panel. David is totally and utterly bonkers, unpredictable, everything I thought he would be. I like him because he likes people. He’s a good Judge and what I like about him is that he doesn’t pretend to know something, he’ll often refer back to me or Alesha and he’s there to learn so he’s been great. Alesha’s like a different person, she’s like a canary out of a cage, she’s loving it. She loves judging all of the singers and all of the dance crews; she’s got a real infectious sense of humour. I think Amanda, bearing in mind what she has gone through this year, is astonishing. I mean she was back with us in Edinburgh so soon after nearly dying and she looks as fresh as a daisy. She’s happy and having fun and I think she’s enjoying the show more this year than she did last year so it’s worked out very well. Interestingly it’s a great chemistry between all of us. How does British talent compare to the US? There’s a kind of unique British talent that we get now, whether it’s the Susan Boyle’s or the Paul Potts’. But what’s interesting, music wise, I think the Brits are having quite an influence on America at the moment. You see that with people obviously like the success of Adele, so there’s a confidence in the air at the moment where I don’t feel like they feel they are second best. This could be the best series of BGT that we’ve ever made. What are the highlights of the show so far? The highlights are the unpredictability because I always think I’m never going to be surprised but then a few times this year just when I’m thinking ‘this is not going well’, somebody or some people come on and just blow you away and that’s happened a few times and that’s what I love about these auditions, somebody being good when you just don’t see it coming. What kind of act would you like to win? You want the winners to go on and have careers, not just pick up a cash prize so that’s why we’ve got to be careful about who we put through to the finals, because we don’t want somebody winning just because they’ve got a sob story. You want a really, really talented person to be winning the show. But I’m still going to put a bet on a dancing dog being there until the end! BGT celebrates the best in Britain, but for you when is Britain at its best? I think Britain is at its best when it doesn’t try to copy what other people are doing around the world. I like it to be uniquely British. I refer back to Adele, she never tried to copy somebody, she did it her way and that’s part of the reason why she has been so successful. I don’t want it to feel like a second rate American act. I have a good feeling about the show this year.